We drove the Roamer down to Quartzsite for a few days to visit with the MOEs. We haven't had the Roamer out since our trip to Quartzsite last year. We have new batteries and all systems worked great!! We had 4x4 runs on the South Plumosa Range Trail and to Dripping Springs. We ended up leading both runs. It was a challenge, but we all got back safely. We drove the Roamer down to Quartzsite for a few days to visit with the MOEs and, of course, run around the desert in our Jeep. 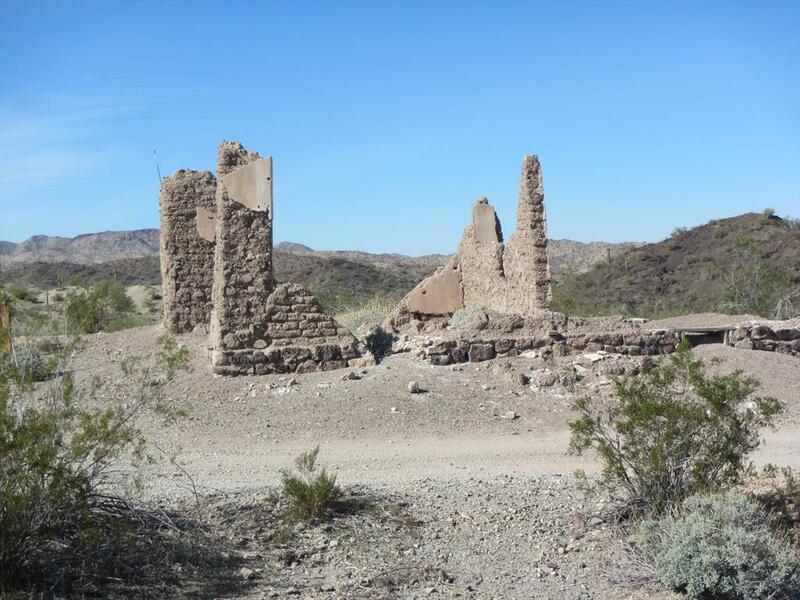 We had 4x4 runs into the the old mining town of Swansea and down to the Cibola National Wildlife Refuge again. After 4 years, we finally made it to an EarthRoamer Owner's Rally. This year it was in Monument Valley. It was a great trip with over 20 other Roamers. We got to catch up with old friends and make many new friends. 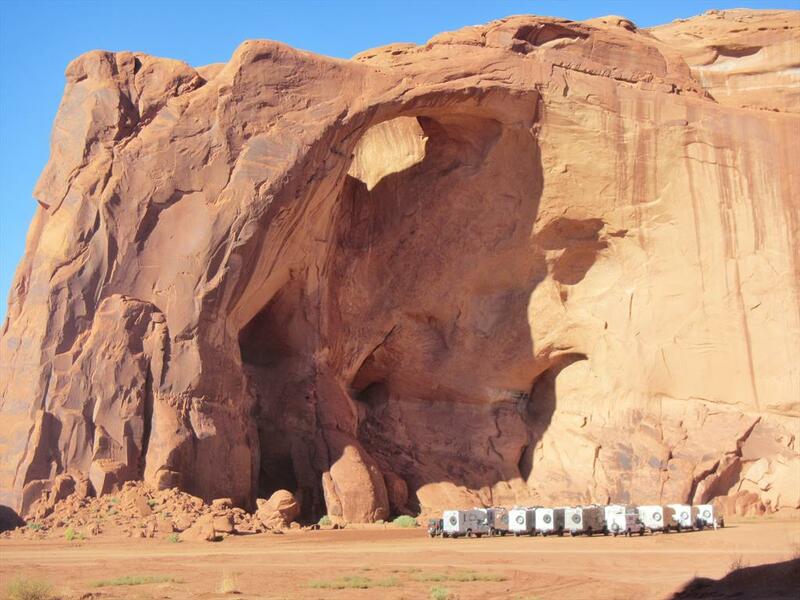 We had Navajo Indian guides take us up Horse Canyon, Mystery Valley, and Lower Monument Valley. Then we followed Bill through Valley of the Gods and up Moki Dugway. We drove the Roamer north to Kingman for a few days to visit with the MOEs and, of course, run around the desert in our Jeep. We had a really nice 4x4 run on Upper Trout Creek Road and Bogles Ranch Rd. The roads were all Easy, just a few areas that were a little rocky. After a two year hiatus from camping this was a nice way to get the feel of the Jeep back. We drove the Roamer down to Quartzsite for a few days to visit with the DEs and MOEs and, of course, run around the desert in our Jeep. 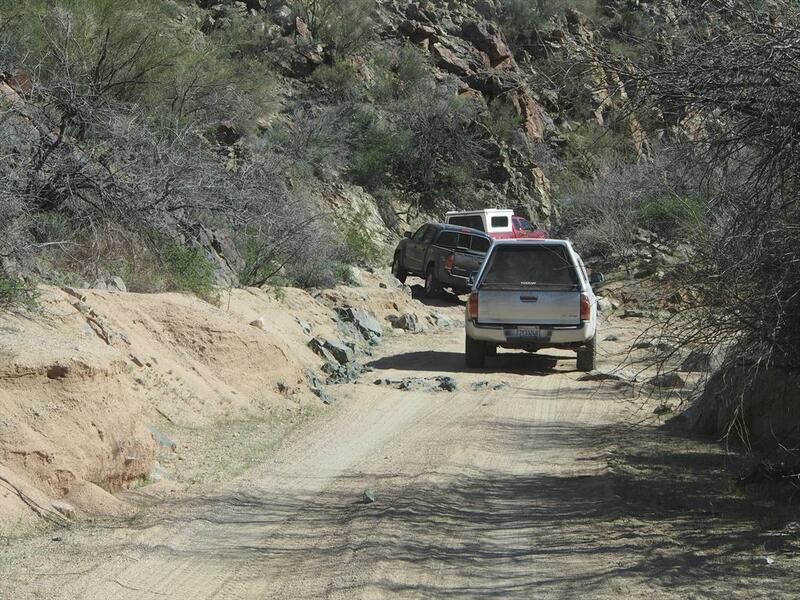 We had 4x4 runs into the Kofa National Wildlife Refuge to Castle Dome, the Kofa Mine and Palm Canyon. We also went down to the Cibola National Wildlife Refuge again. 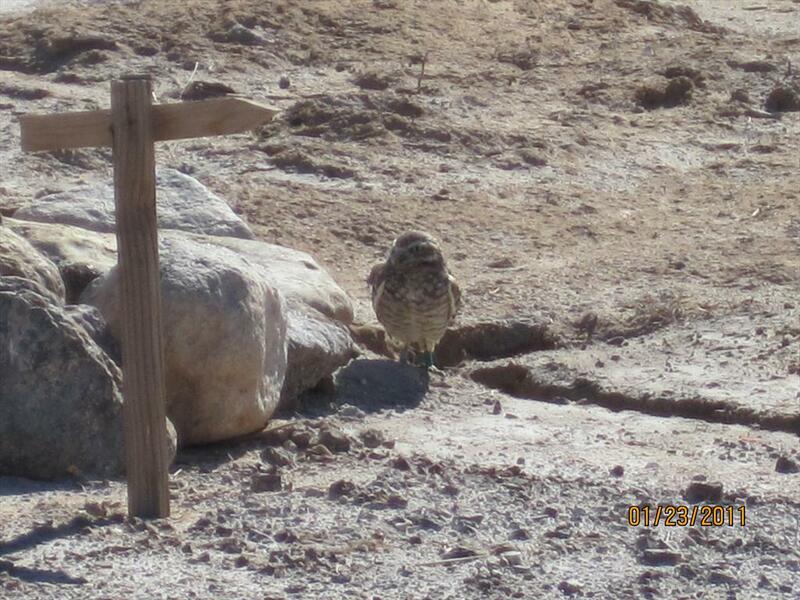 This little guy is a burrowing owl at the Cibola National Wildlife Refuge. On the way back from our 7-week trip to Idaho, we spent a week with the MOE group in eastern Arizona at Luna Lake. We drove hundreds of miles on forest roads in the area. 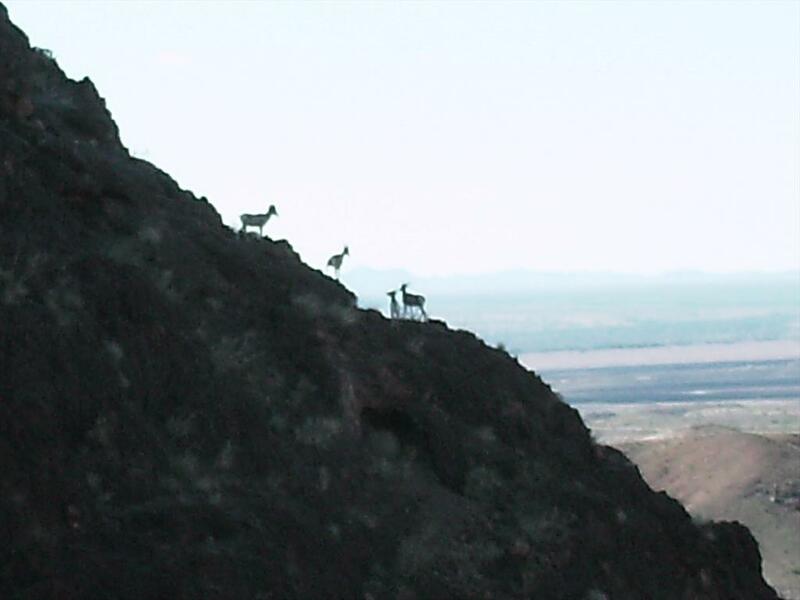 We saw deer, wild horses and even one wolf!! 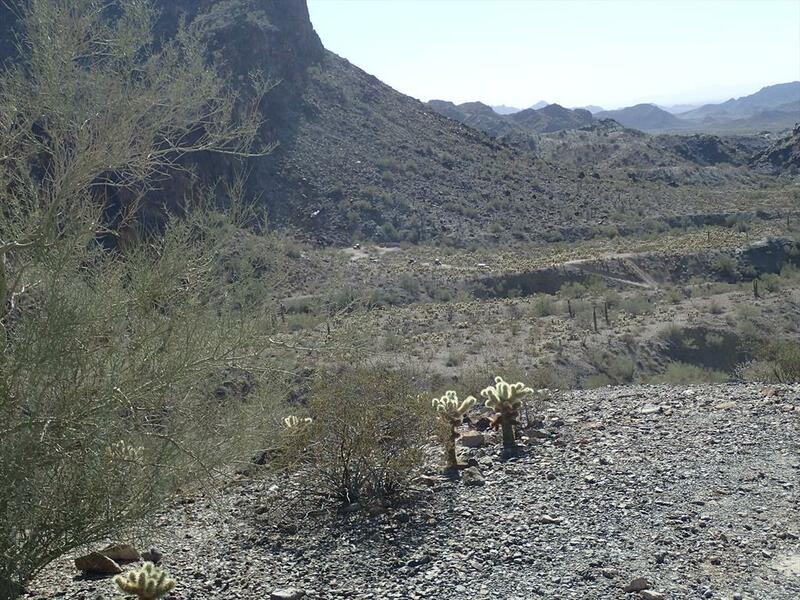 When one thinks of Arizona, one thinks of desert. You wouldn't believe all the trees in this area of Arizona!! We took a 7-week trip to Idaho. We went north through California to Oregon, over to the Oregon Coast. Then we went east to Idaho. Our destination was the Craters of the Moon National Preserve. We had another great trip. Our Roamer is perfect for camping in all kinds of weather and temperatures!!! We had a great time!!! 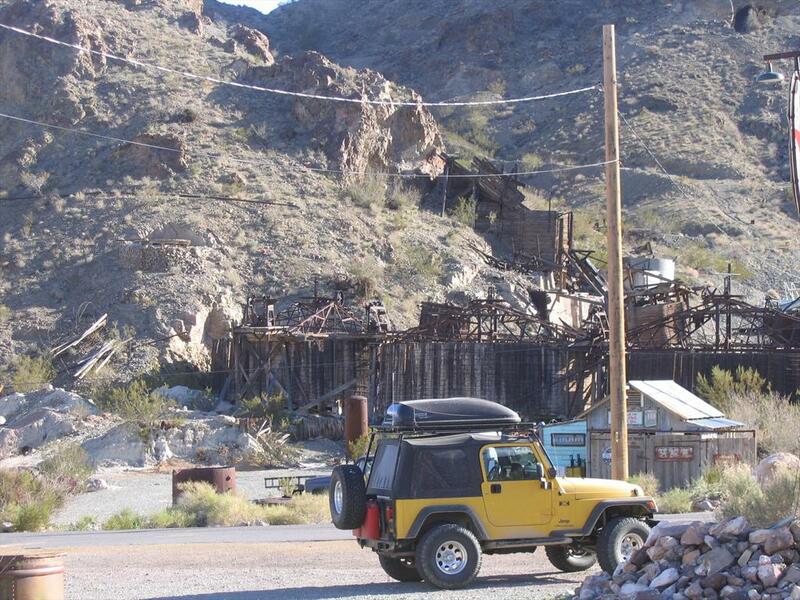 We stopped in Chloride on the way to the Temple Bar Campground at Lake Mead to meet up with the MOE group. We went on two runs with the Jeeps. 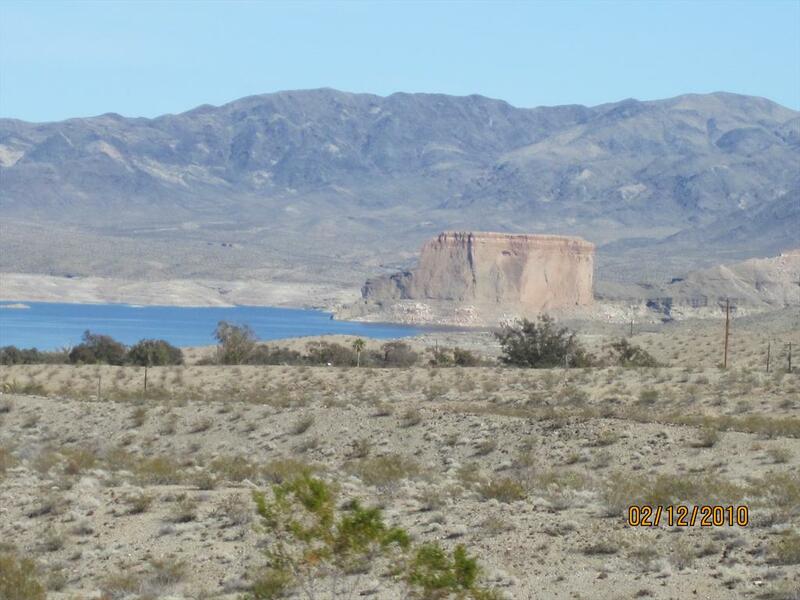 Lots of beautiful views of Lake Mead, even though the water level is way down!! 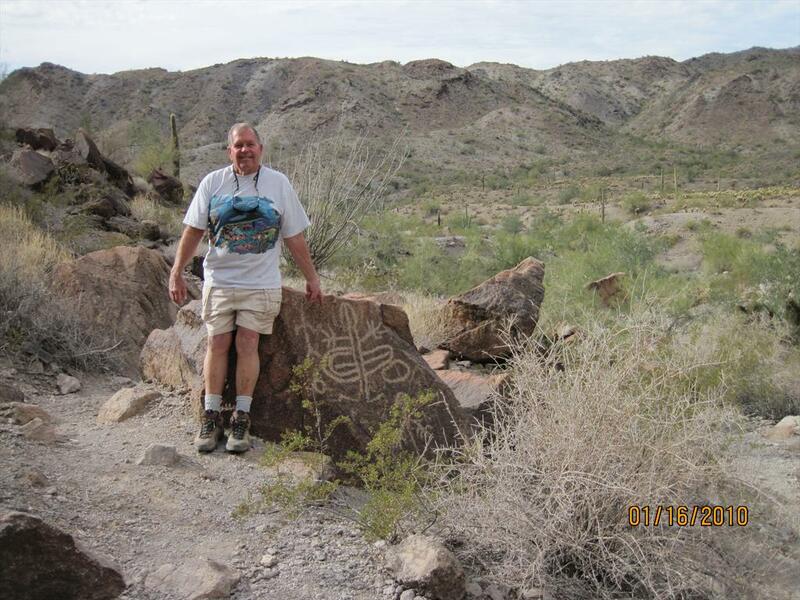 Then we stopped in Kingman and Jim took us out into the desert around his area!! We went to Quartzsite to meet up with the MOE group again this year for four nights. We went on the South Plomosa Range Trail, the Dripping Springs Trail and a short run in a wash to a "swiming pool". It was a small group, but we had lots of fun!!! We spent one night in Goblin State Park and two nights at Bob's just outside of Bryce Canyon National Park on the way to an EarthRoamer Adventure in Canyon de Chelly. 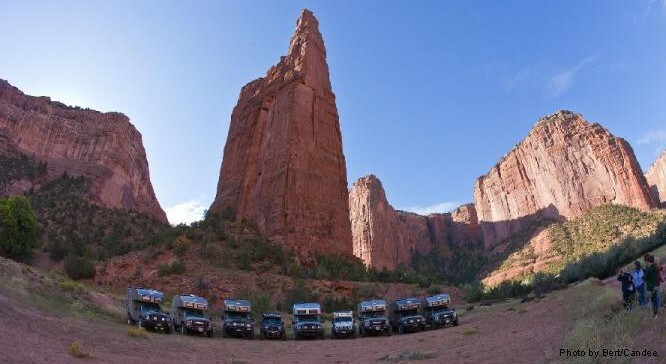 Then we met six other EarthRoamer LTs and two EarthRoamer JPs (these are made on a Jeep Rubicon chassis) at Canyon de Chelly National Monument. We spent one night at Mummy Ruins in Canyon del Muerto and one night at Spider Rock in Canyon de Chelly. We went to Sunset Crater National Monument and the Monument Valley Tribal Park on the way to Moab for an EarthRoamer Owner's Rally. Then we met 16 other EarthRoamers LTs (like ours) and three EarthRoamer JPs (these are made on a Jeep Rubicon chassis) in Moab for an EarthRoamer Owner's Rally. We went on a really rough 4WD road through Arches National Park. The next day we went down Shafer Trail in Canyonland National Park. These vehicles are amazing!! Do you see us wa-a-ay down there??!??! We drove the Roamer down to Quartzsite for about a week. We spent a few days at the Hamfest visiting other Ham Radio Operators. 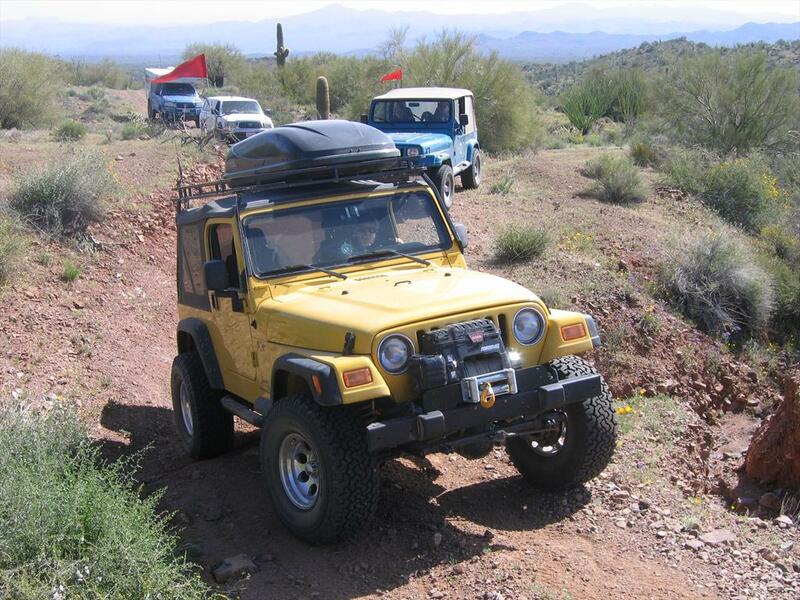 Then we met up with the DE and MOE groups for some desert runs in the Jeep to the Harquahala Mountain Smithsonian Observatory and the Cibola National Wildlife Refuge. We met up with Scott Brady with his brand new JP Roamer, 7 other LT Roamer owners, Tyler (our ER support in an LT Roamer) and Scott's support, Graham & Connie in their Land Rover Defender. We went across the US-Mexican border at Tecate for an 8-day trip through Baja. We went to the Adobe Guadelupe Vineyards, Mike's Sky Rancho, the beach just south of San Felipe and Laguna Hanson at Parque Nacional de la Constitucion 1857. We crossed back into the U.S. at Mexicali. What a fantastic trip!!! It was a great introduction to Baja!! This is the third part of our three-part trip. See the next two albums for the Mojave Road ER trip and the Burro Creek MOE trip. After the Mojave Road ER trip, we spent a few days in Death Valley . It was really windy a couple nights, but the weather was really moderate and we had a great time!! Then we met up with the Desert Explorers in Shoshone for the 2008 Rendezvous. We only went on one desert run with the Jeep, but we had a great time getting to know a lot of new people. This is the second part of our three-part trip. 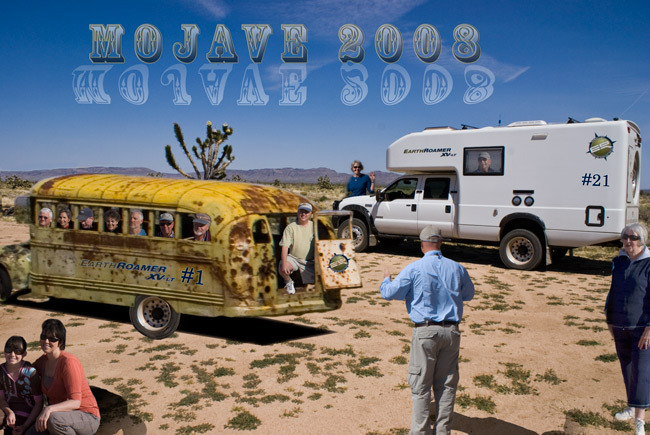 See the previous and next albums for the Burro Creek MOE and Rendezvous DE trips. After the Burro Creek MOE trip, we stopped by the Goffs Schoolhouse Museum in the Mojave National Preserve. We heard all about this museum from the MOE people. We're really glad we took the time to stop. Then went to the lava tubes in the Mojave National Preserve and spent a night. We've been trying to get up there to do that for quite awhile. We finally made it!! 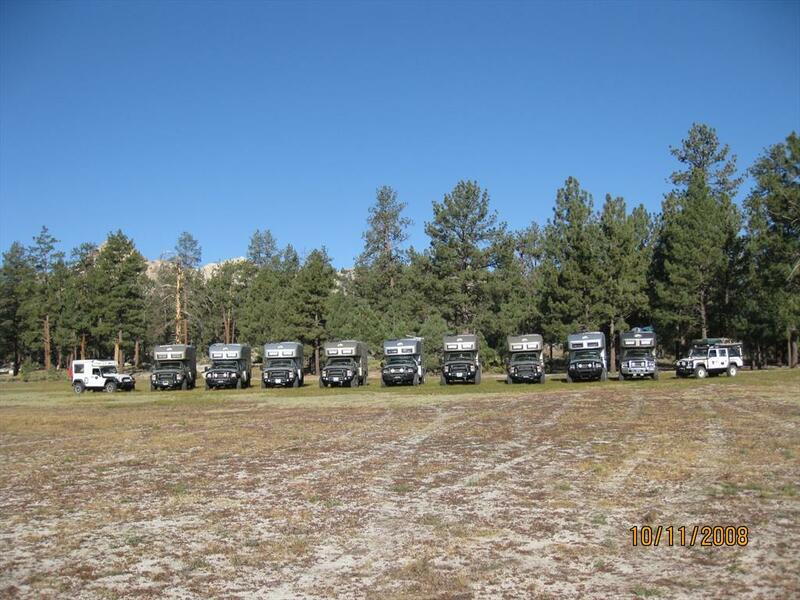 We met the EarthRoamer group on Friday, April 4th in the Afton Canyon Campground. We spent the next three days on the famous Mojave Road. There were 7 Roamers and we all made it safe and sound!!! This was the first part of our three-part trip. 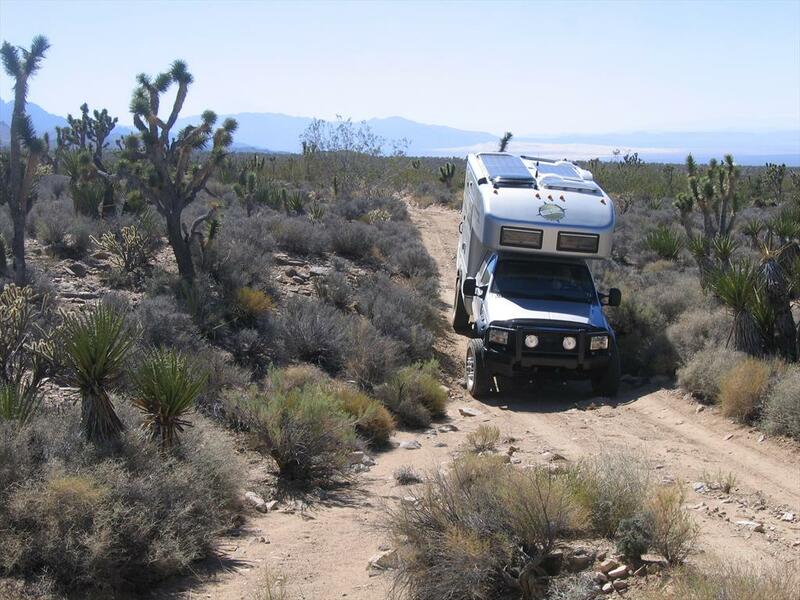 See the previous two albums for the Mojave Road ER and Rendezvous DE trips. 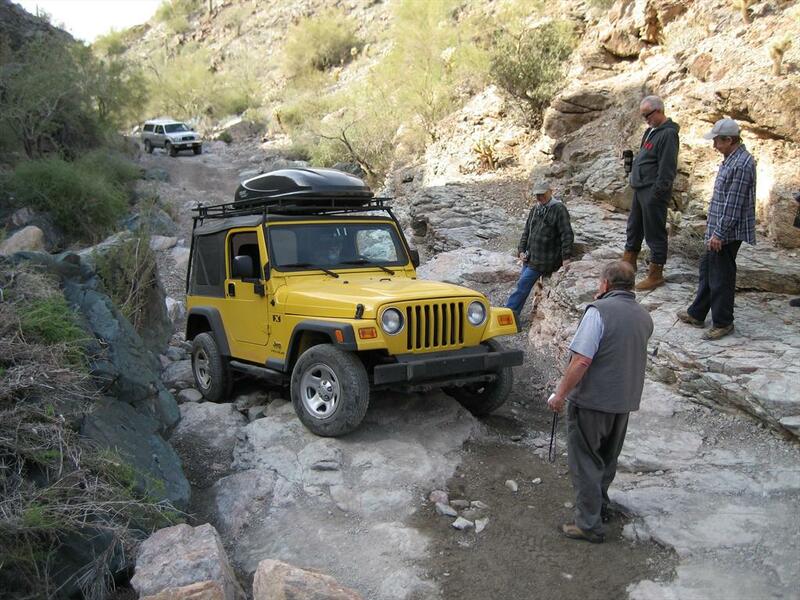 We went to Burro Creek to do some 4-wheeling with the Mohave Outback Explorers (MOEs). We met up with them at the Burro Creek Campground and spent 4 days noodling around in the desert. The wildflowers were awesome!!! We had great fun with great people!!! We went to Searchlight to meet up with the Mohave Outback Explorers (MOE) to put our modified Jeep and new knowledge to use on our own!!! We went to El Dorado Canyon. 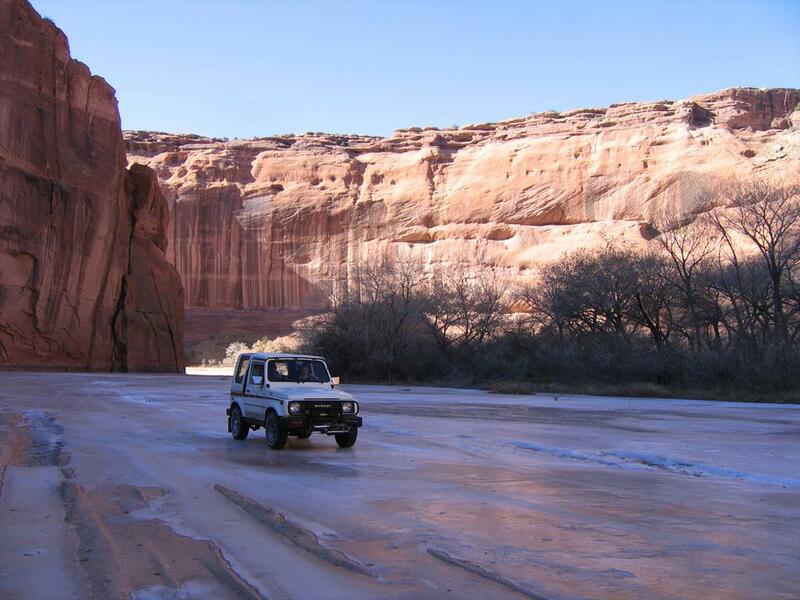 We went to Prescott, Arizona to meet up with Scott for some 4x4 training. 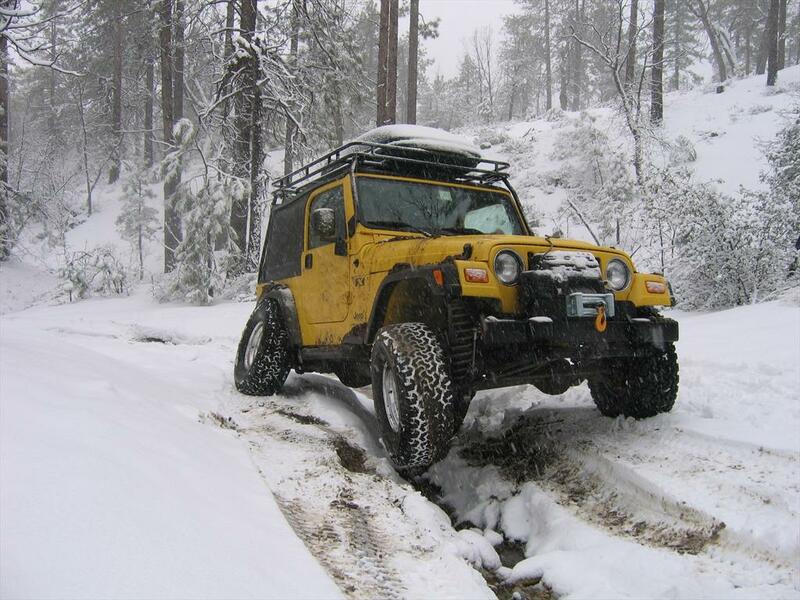 We had modified our Jeep and wanted to really know it's capabilities and to improve our own 4x4 driving capabilities. Scott took us through some 4x4 basics, discussed the physical capabilities of the Jeep and then took us on some great 4x4 trails to hone our skills and put all our new knowledge to use!!! 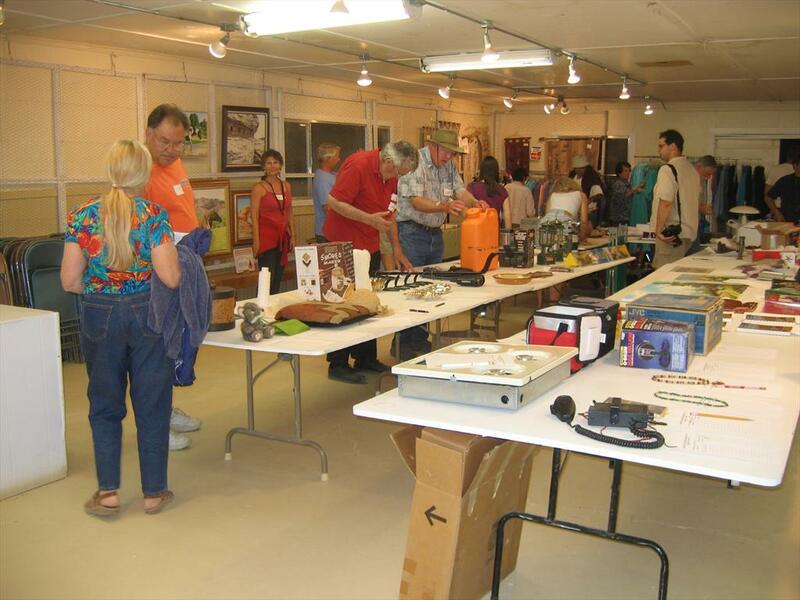 Quartzsite is a busy place during the months of Jan, Feb & Mar. There are all kinds of shows: gems, minerals, cars, RVs, etc. This year the RV show was from Jan 19th thru Jan 27th. We went to Quartzsite for the RV show, the Hamfest and to meet up with the Desert Explorers (based out of Barstow). We went to the Hamfest for a couple of days and then moved over to another camping area to meet up with the Desert Explorers. We spent two days in the Jeep driving around the desert with the Desert Explorers. We took our Jeep where we didn't think it could go. We had a blast!!! And what a great group!! We joined the Roamer Expedition to El Camino del Diablo in southern Arizona through the Barry M. Goldwater Air Force Range, the Cabeza Prieta Wildlife Refuge and the Organ Pipe Cactus National Monument. There were a total of six vehicles: Scott's Toyota, Bill's Jeep (Roamer JP) and four Ford F-550s (Roamer LTs). We drove for four days over 140 miles of rough, 4WD roads. We were well prepared for our wilderness expedition. Scott and Bill both had emergency locators, Bill had a satellite phone and Internet (BGAN), Carl had APRS through 2m/440m ham radio repeater, HF SSB and PSK31, and there was a variety of medical experience and training among the other Roamer owners. It was an absolutely fantastic adventure. It was so much fun to meet other Roamer owners, to learn more about our Roamer from Bill, to learn about tires, sand and mud from Scott, and best of all, to drive our Roamer through some really tough 4WD trails. We've never had too much fun, but this was real close. We wanted to take the Roamer out on rough 4WD roads, like it's designed to do. So we took it out for a short 2-day trip to the Mohave National Preserve. We spent two nights camping in the middle of the Mohave Desert!!! We drove the Roamer over 45 miles on really rough 4WD roads. 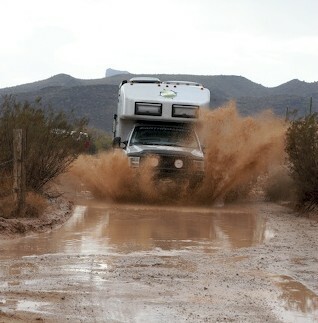 We went through sandy washes, over big gullys and through narrow sections of road. We scraped against prickly desert bushes and cacti, but the Roamer survived with flying colors. We spent over 4 months (May 1st thru September 5th) on the road in the RV. We put over 10,000 miles on our new Roamer (and over 4,000 miles exploring in the Jeep). We drove clear across the USA to Maine and Nova Scotia. We visited with family and friends all over the country, as well as seeing beautiful country and having some really great experiences. We visited with the Noah clan, Dana, the Fortneys, Darryl, Teresa, Brian, and Johnny. 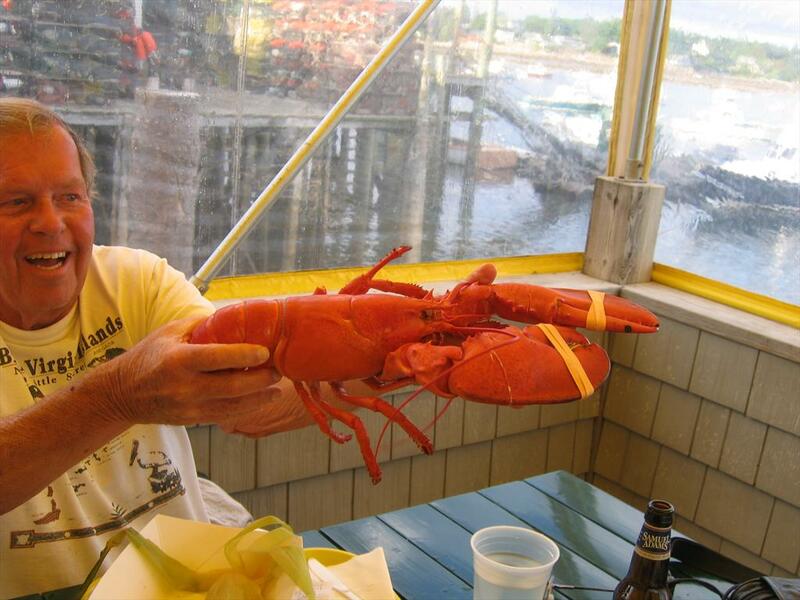 We went to lots of caverns and lighthouses, went lobster fishing and oyster fishing. We even stopped in Denver for warranty work on the Ford and the Roamer. It was a l-o-o-ong trip!!! It was a long time away from home and we were glad to get home. But...we had a GREAT time!!! We flew to Denver to pick up our new EarthRoamer. Matt, EarthRoamer VP, picked us up at the airport. He took us directly to see our new Roamer at the shop. We were so-o-o excited. We spent two days in Denver doing paperwork, getting our orientation and learning all the Roamer systems. There was no snow on the ground when we landed, but it started snowing on the way to the shop. 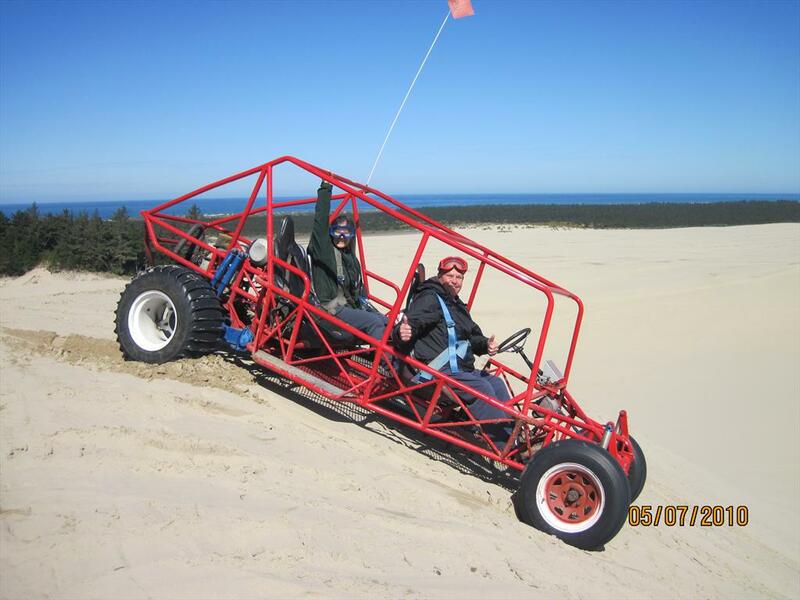 By the time we drove out of the Roamer parking lot, we had to put it in 4WD!!! Unfortunately, just before we left for home, Carl fell on black ice in the Wal-Mart parking lot and broke some ribs (and then caught a cold). We had a really bad five days drive home!!! The Roamer worked great, but we didn't get to enjoy it!!! We wanted to take one last trip in our Pace Arrow before we started traveling with our new Roamer. So we packed up the RV for one last short trip. We went to the Mohave National Preserve, about 40 miles west of Needles. Michael and Nancy drove up Saturday morning to meet us for a camping weekend. 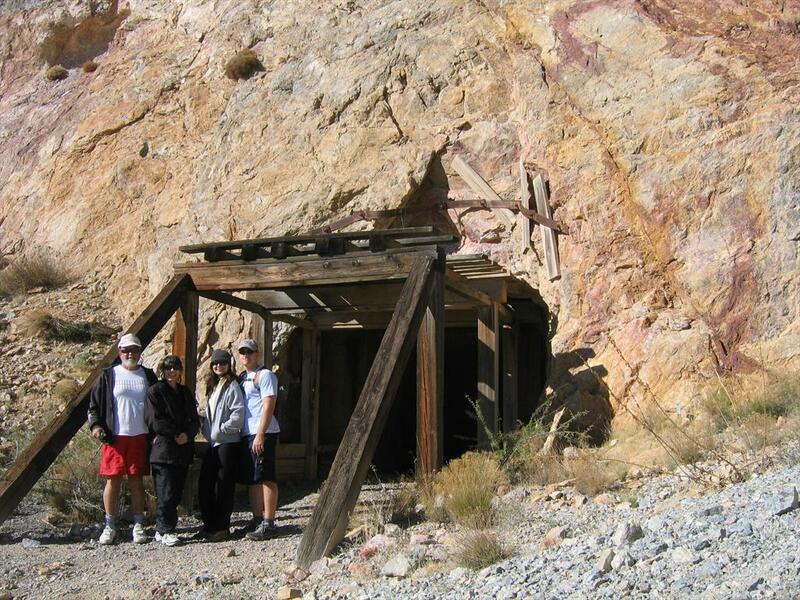 We went to the Mitchell Caverns and then Michael took us to the King Mine. We had a great weekend!!!! This time we spent 3 1/2 months (May thru mid-August) on the road in the RV. We drove over 5,000 miles through Utah, Wyoming, Montana, Canada, South Dakota and Colorado and put over 6,400 miles in our new Jeep (driving, not towed). 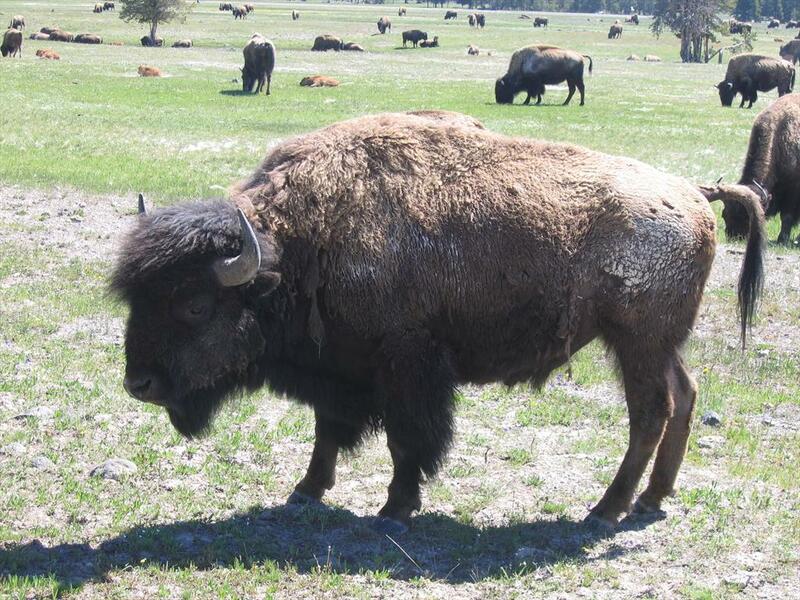 We explored 13 National Parks, 6 State Parks and 12 National Monuments/Memorials and Historic Sites. WOW!!! What a fantastic trip!!! This time we spent a month on the road in the RV. We went by the Grand Canyon again and then spent a few day at Canyon de Chelly (d'-SHAY). We stayed several days at El Morro, New Mexico. 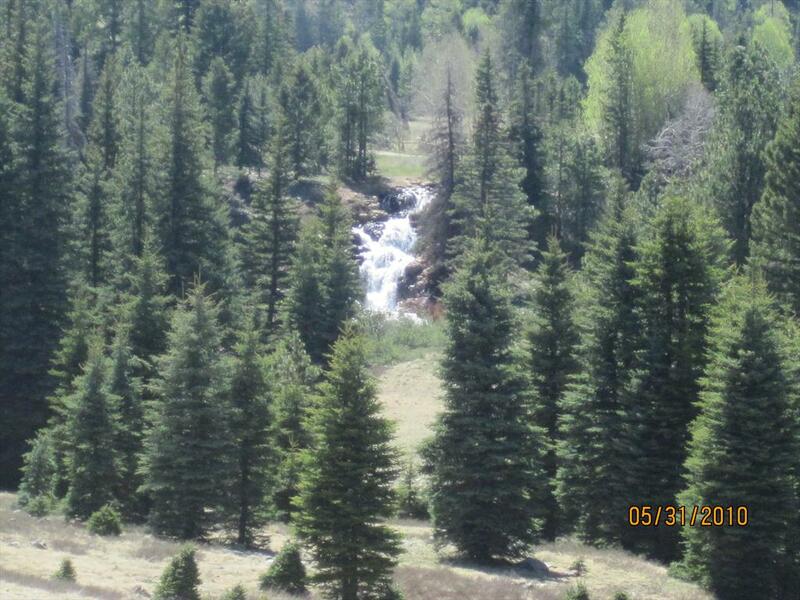 We then spent several days in Silver City, New Mexico area visiting friends and relatives. We headed west towards home, going through Bisbee, Arizona and stopping at the Kartchner Caverns. This was a fantastic trip!!! 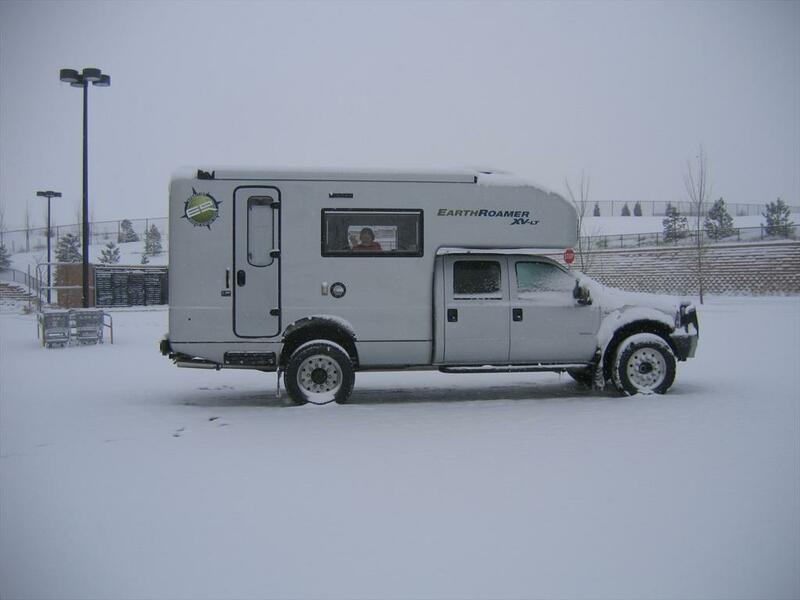 This RV traveling is the BEST!!! We spent about 2 weeks on the road in the RV. 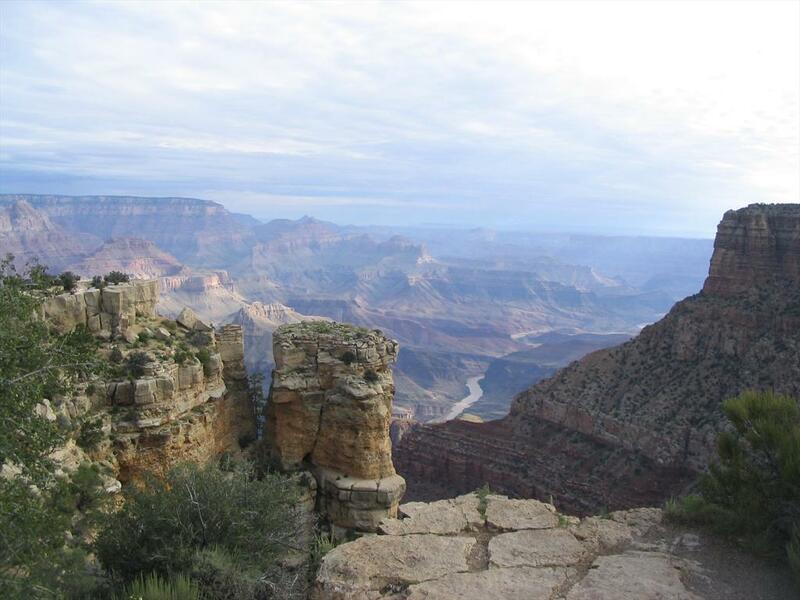 We spent a couple days at the Grand Canyon. Then we went to Bryce National Park for a few days and then on to Zion National Park for another few days. What a great trip. 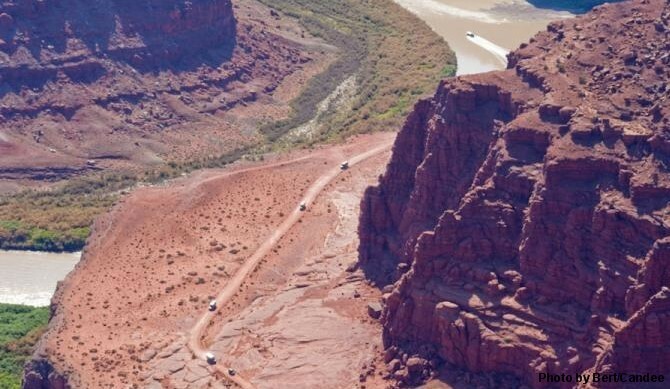 This was the longest RV trip so far!!! It was awesome!! !